The M28 Cork to Ringaskiddy Project is the upgrade of approximately 12.5km of the N28 National Primary Route from the N40 South Ring Road, at Bloomfield Interchange, to Ringaskiddy, Co. Cork. Transport Infrastructure Ireland is the funding authority for this project and the project has been included in the government’s Infrastructure and Capital Investment Plan 2016 – 2021. The N28 corridor itself is part of the Trans-European Transport Network, accessing the Tier 1 Port at Ringaskiddy. This requires that the Port is served by a high quality road (either a motorway or express road), designed and built for motor traffic. The existing N28 is predominantly a single carriageway road and suffers from significant congestion leading to considerable delays and queuing at peak times at certain locations. The road does not have the capacity to cater for current traffic volumes at peak times or future expected increases in traffic. To improve access to the M28 corridor in a safe and sustainable way. To support national and European policies by creating a high-quality route. 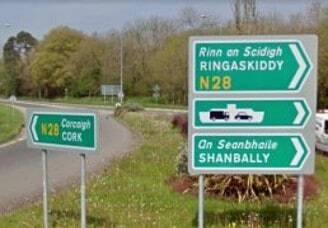 The planning application for the M28 Cork to Ringaskiddy Project was lodged to An Bord Pleanála in May 2017. The project comprises of a Motorway Scheme, Protected Road Scheme and Service Area Scheme, details of which are available in the Project Documents section at the link below. The Environmental Impact Statement was also published and included as part of the planning application which details the effects, if any, which the proposed road project would have on the environment. An Bord Pleanála approved the planning application with modifications in June 2018. A Judicial Review of An Bord Pleanála’s decision is currently being undertaken in the High Court. Cork National Roads Office, Richmond, Glanmire, Co. Cork.